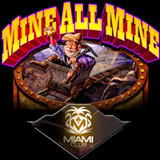 This week Miami Club Casino launched the new Mine All Mine slot from WGS. Now they have six progressive jackpots with a total jackpot pool on its way to half a million dollars. The new game has three progressive jackpots. Mine All Mine is a 5-reel prospector-themed game. It’s progressive jackpot feature is triggered at random after any spin (except free spins). You choose from three levers. Each one sends a miner hurtling along a track in a mine-car. Your prize, at the end of the track, depends on which lever you chose. Mine All Mine will appeal to all kinds of players since it takes bets as low as $0.25 a spin up to $125 per spin. 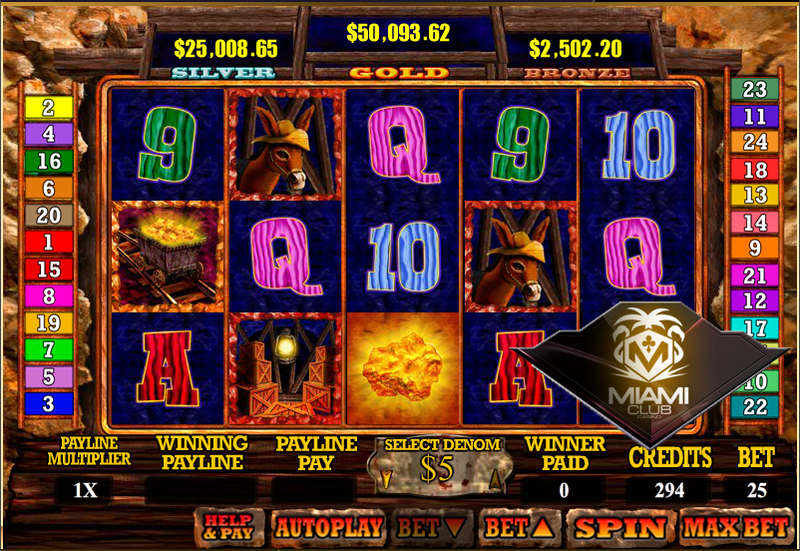 Miami Club Casino now has six games from Wager Gaming with massive progressive jackpots. Three or more Scatter symbols trigger 10 free games. After each free spin players can throw dynamite onto the reels to change symbols into wild Gold Nuggets. You'll find a wide selection of online casino games from Wager Gaming at Miami Club Casino. Until April 30th, earn double Comp Points playing the Hot Roller or Dragon Master slots.